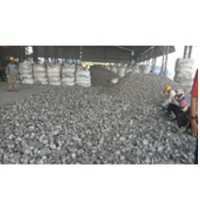 Ferro-Manganese Ferro-Manganese is an alloy with high percentage of Manganese, which is made by heating a mixture of the oxides MnO2 and Fe2O3 and coal & coke with high carbon content in a blast furnace or an electric arc furnace-type system. The oxides go through carbothermal reduction in the furnaces that result in producing the Ferro-Manganese. Ferro-Manganese is used in the production of steel which acts as an excellent deoxidizer and desulfurizer. 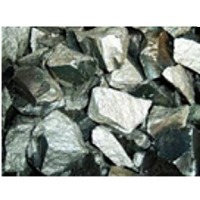 We supply the one variant of Ferro Manganese: High Carbon Ferro-Manganese. Silicon Manganese Application 1)	As de-oxidation and alloying agent in iron & steel plants. 2)	Enhance properties including ductility, strength, rigidity and resistance of steel. Silico-manganese adds additional silicon which is a stronger deoxidizer and which also helps to improve some mechanical properties of steel. 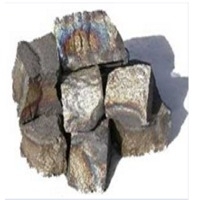 Ferro Manganese is an alloy with high percentage of manganese, which is made by heating a mixture of the oxides MnO2 and Fe2O3 and coal & coke with high carbon content in blast furnace or an electric arc furnace-type system. Short on time? Let ferro-manganese sellers contact you. Mn - 81 %Min C - 0.9% Max si - 0.9% max P - 0.2% S - 0.02% Size - -40 B.S.S. Mesh 100% passing through. 25kg bag or as you require. Ferro Manganese (FeMn) is product of the blast furnace containing besides iron, 70 to 85% of manganese. It is used as a de-oxidizer for manufacturing of non-magnetic stainless steel and for the introduction of manganese into steel. Manganese is very important element in steel as it improves the strength, toughness, hardness and workability. Manganese also helps in getting ingots free from blow holes. It lowers the critical temperature and promotes the formation of pearlite. Manganese dissolves in solid solution of ferrite, combines with carbon to form carbides. it improves weldability, wear resistance and strength without adversely affecting the ductility of steel. Natural Sugar And Allied Industries Ltd.
Sunstone International Industry & Trade Co., Ltd.
Tianjin Wanlang Technology Development Co., Ltd.
Shivam Iron & Steel Co. Ltd.
SiMn Specifications Mn 60% Min. Si 14% Min. C 2.5% Max. P 0.35% Max. S 0.04% Max. AND Mn 65% Min Si 15% Min. C 2% Max. P 0.30% Max. S 0.04% Max. Lump Size : (10 to 60) MM; 90% Min. 50 Kgs. / 1 Mt. Big Bags in Containers.